Breanne Williams. A 77-year-old Plant City man was struck while walking to a gas station less than two blocks from his home. 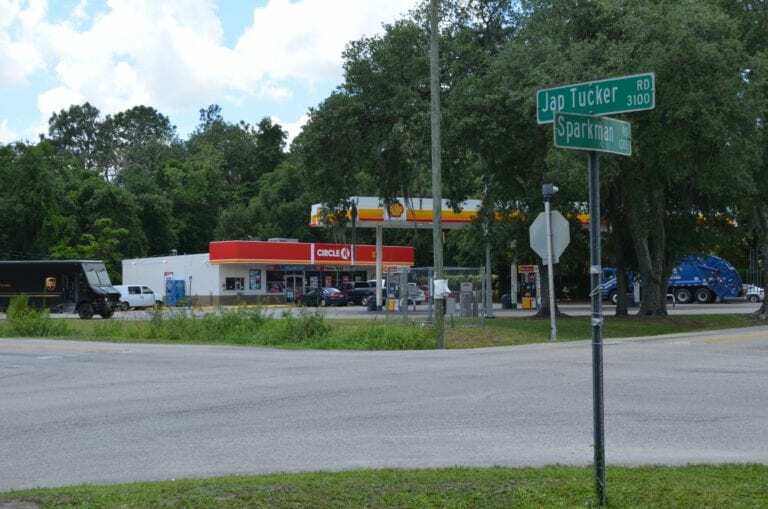 A 77-year-old Plant City man was sent to the hospital with life-threatening injuries following a hit-and-run on Jap Tucker Road on March 27. Hillsborough County Sheriff’s Office is asking for help from the public to identify the driver of a hit-and-run that occurred on March 27, which sent a 77-year-old Plant City man to the hospital with life-threatening injuries. Hugh Lavaughn Gamble — who was identified as the victim of the hit-and-run by his sister Sharon Eichenberger — was walking the approximate block and a half from his home to the nearby Circle K on Sparkman Road when the incident occurred. The sun had set, but the walk would take less than 10 minutes to complete. Breanne Williams. Gamble was walking along Jap Tucker Road toward the Circle K at the corner. Gamble stepped out the front door of his home on Clarkwood Drive and took a right onto Jap Tucker Road. The tall green grass hugging the shoulder was mowed to a coarse strip, making a crude pathway down most of the street. A ditch, in some places merely a shallow dip and in others deep and overgrown by plant life, acted as a barrier between the roadway and the nearby homes. He only had a block and a half to go. At approximately 8:30 p.m. his short trip came to an abrupt end when a vehicle hit him, breaking his leg in two places and causing the bone to protrude, according to Eichenberger. The car sped off and Gamble lay unmoving in the ditch, hoping that someone would see him and stop. The beams of a headlight appeared and the incoming car slammed on its brakes. The driver rushed to his aid and called the police. HCSO’s patrol team arrived shortly on the scene. They didn’t know if Gamble had been walking on the road or on the strip of grass beside it when he was hit. He was taken to Lakeland Regional Health Medical Center and Eichenberger said the doctors rushed to tackle saving his leg. The limb was full of debris and they quickly realized several debridements would be necessary to ensure it was clean before they attempted to work on saving the leg. Eichenberger said before they got the chance to begin Gamble had a heart attack in the emergency room. His heart became the priority and he was rushed into surgery. Each time he was sent into surgery for his leg, the family was warned with his weak heart there was a chance he wouldn’t pull through. He survived his surgery on Thursday and on Friday they prepped him for another debridement, but his escalating heart rate caused them to pause. Eichenberger said Saturday they went on with the surgery as planned and that evening Gamble coded. He eventually was revived, but now is on life support. His condition only worsened as infection set in the wounded leg leading to its eventual amputation. He’s been in the hospital now for 16 days and his family has been there every step of the way. Eichenberger and her sister are the only siblings Gamble has left. His three children still live with him at his home and they are deciding what to do. HCSO said there is no vehicle description or known witnesses of the accident at this time. Deputies did a thorough check, but there is no surveillance video documenting the incident. If anyone has information regarding the hit-and-run they are asked to contact HCSO at 813-247-8200 or Crime Stoppers at 1-800-873-8477.